Justin Crowe is an artist originally from Northeast Ohio. In 2011 He received his Bachelor in Fine Art form Alfred University, in New York, with a focus in ceramics. 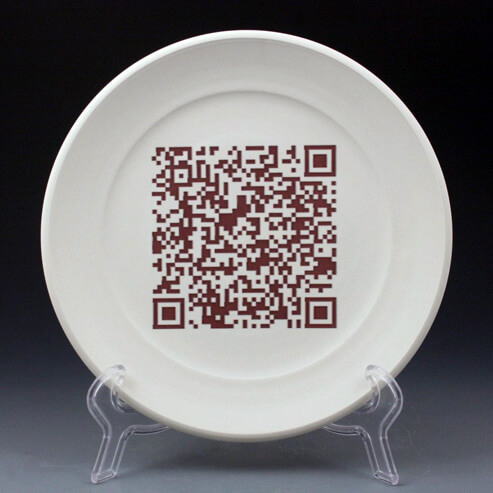 Justin creates sculptural artwork about our cultures role in new technologies such as mobile tech, QR Codes, and online social networks. In 2011 Justin was featured in Ceramics Monthly Magazine’s “Undergraduate Showcase” and his artwork has since been published in Clay Times Magazine, Huffington Post, and TrendHunter.com. His sculpture was recently exhibited at the Ohio Craft Museum and can be found on his website at www.JustinCroweStudio.com. I make art that explores how our culture affects technology and how technology affects our culture.